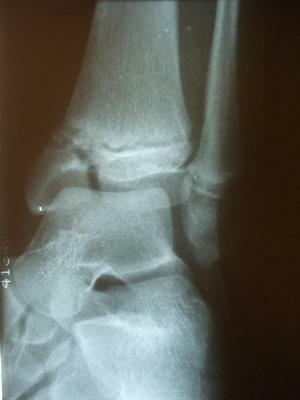 The x-ray below shows a Salter III type injury to the tibia epiphysis indicated by the arrows. 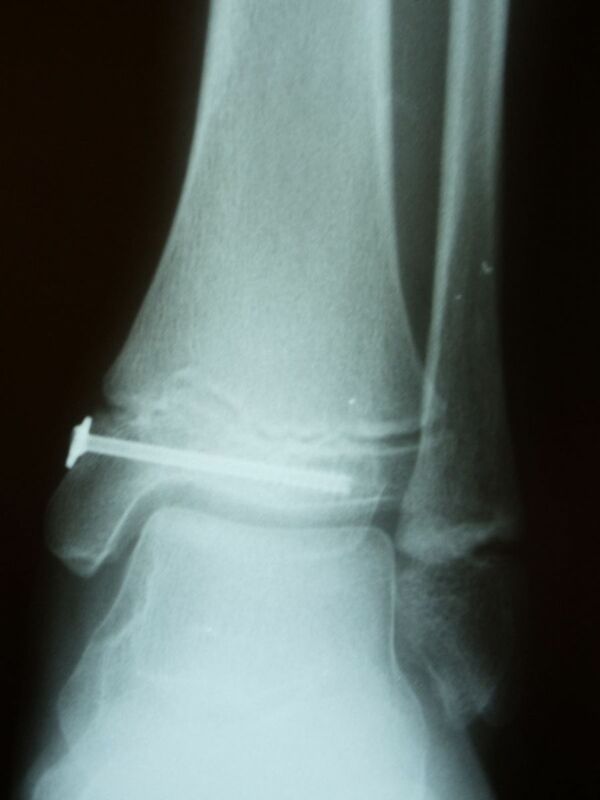 Post- surgical repair of the injury with screws traversing the injured area to allow good reduction and healing without affecting active growth plate areas. Salter Harris III fractures begin at the joint surface of the epiphysis and progresses physis where it turns approximately 90 degrees and extends to the periphery. Generally, these fractures occur in older children because the growth plates are nearing closure. These fractures should be accurately be reduced if displaced. Closure of the growth plate is of a concern due to damage to the growth plate blood vessels.